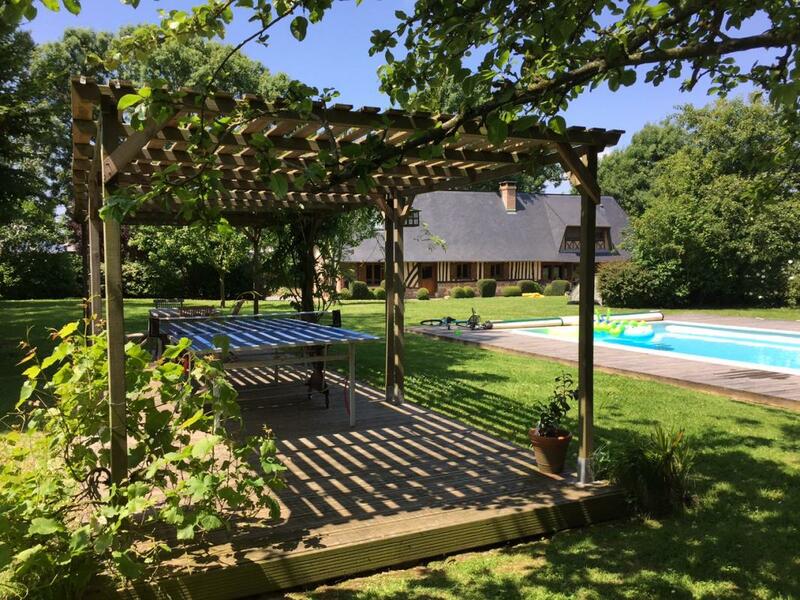 Large accommodation with an outdoor swimming pool, only 30min to reach the seaside. "Le grand Lodge" is steeped in its travels. If the house dates back to the 18th century and keeps its authenticity, the decoration navigates between India, Africa, MOrocco. Just as exotic, authentic trophies look down on the wooden or metak animals. 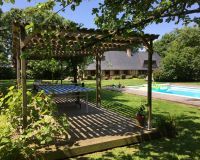 This style, very modern and inspired, does not forget the comfort and the functional of this unusual gite. 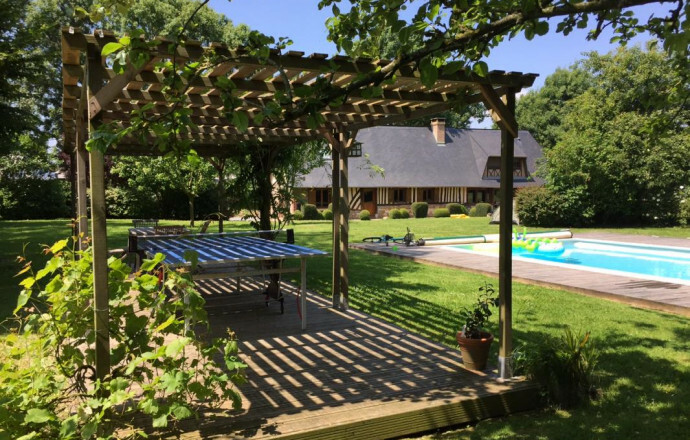 Garden and swimming pool (shared with the gite n°729 for 4 people and with the owners), on a 1ha of land. GROUND FLOOR: dining room with kitchen, living room with fireplace, 1 bedroom (1 double bed, 1 cot), bathroom, toilets. 1st FLOOR: 2 bedrooms (2 double separable beds of 1,80m; 2 single beds), shower room in one of the bedrooms, toilets. Mezzanine with a small bench. Internet. Electric heating. A 4000m² garden.